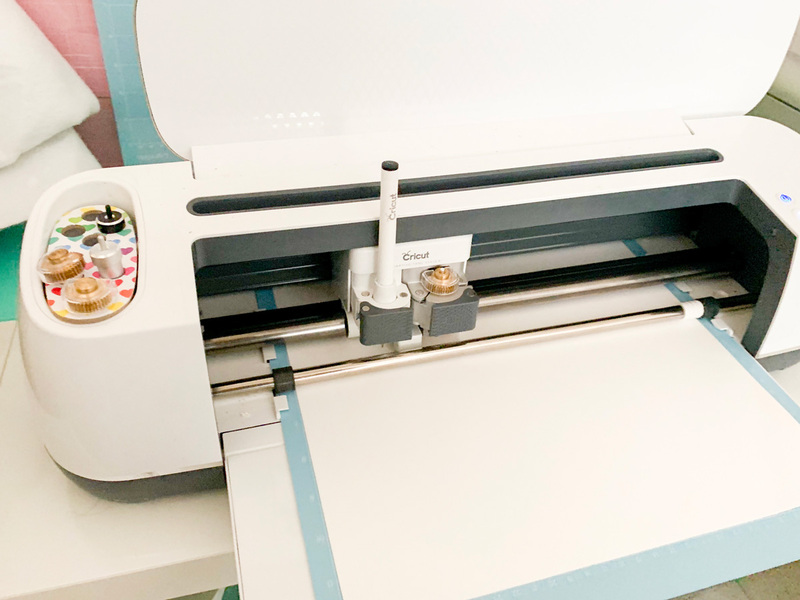 A dear friend of ours is finally having a baby girl of her own and I couldn’t wait to make her a handmade baby shower card using my Cricut and my Xyron Creative Station. 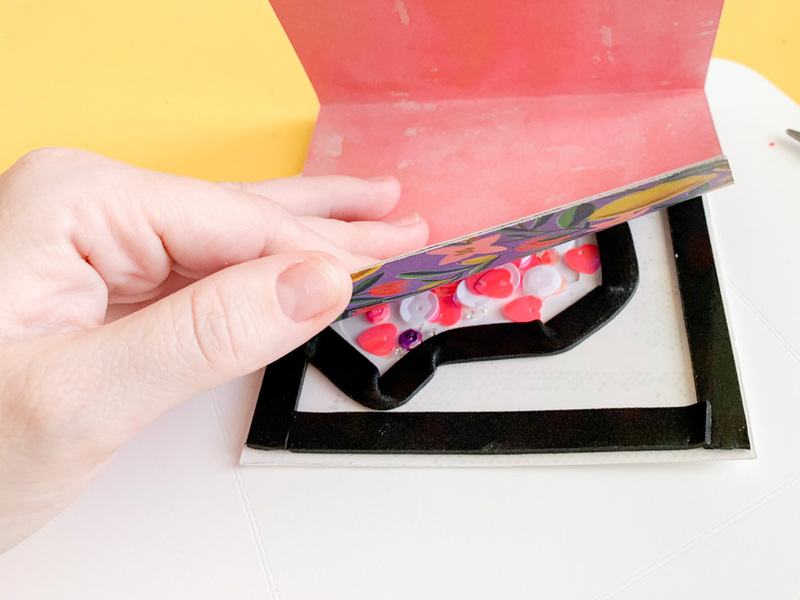 See how I made this easy shaker card for her baby shower. 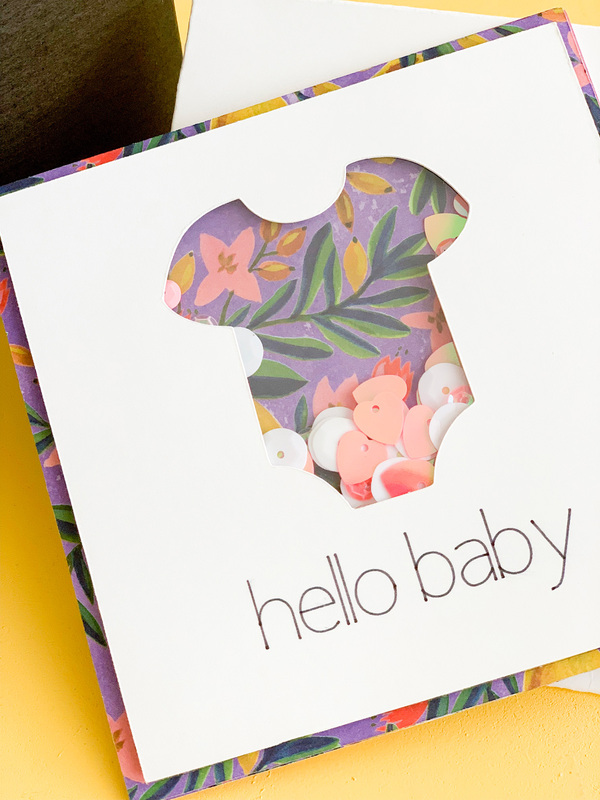 Create a perfect handmade baby shower card for your next loved one’s life-changing event. 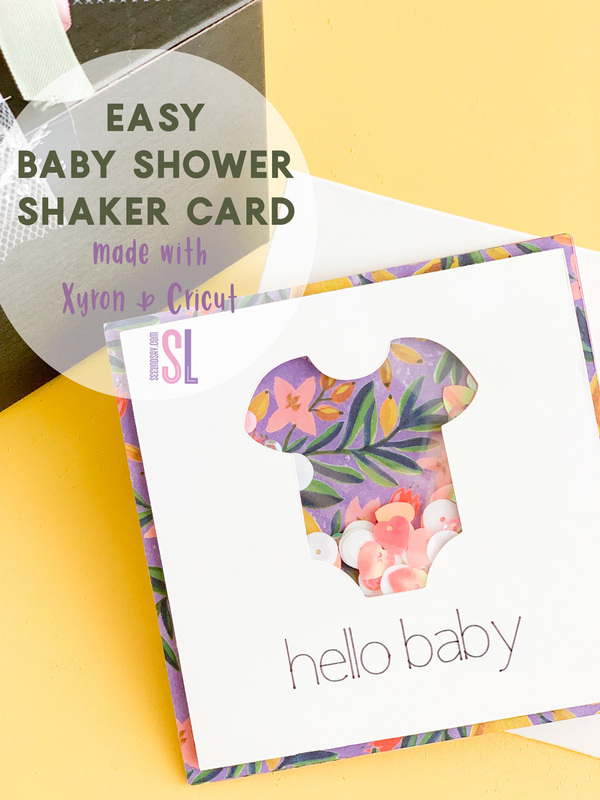 Use your Cricut Maker to create this cute baby shaker card. I’ve tried a few times to make shaker cards using dies but I like to do it with my Cricut now that I’ve figured out how. 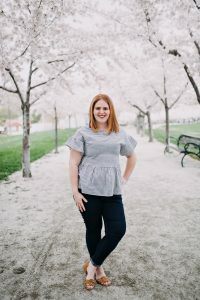 Cutting acetate can be tricky using your Cricut but I’ve gotten great results using my Knife Blade and my Cricut Maker. 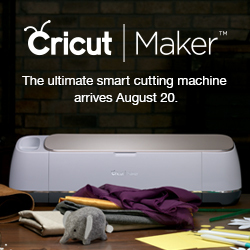 You will first begin by opening up your Cricut Design Space File and then you will send it to your Cricut Maker. The first canvas should be your Kraft Board which is the one that will use the Scoring Wheel and a Fine Point Black Marker. 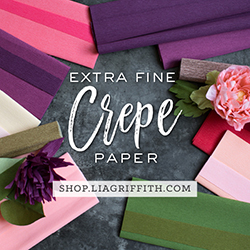 After you’ve cut and drawn your shapes out of the white and the patterned cardstock, load your acetate into your Cricut. 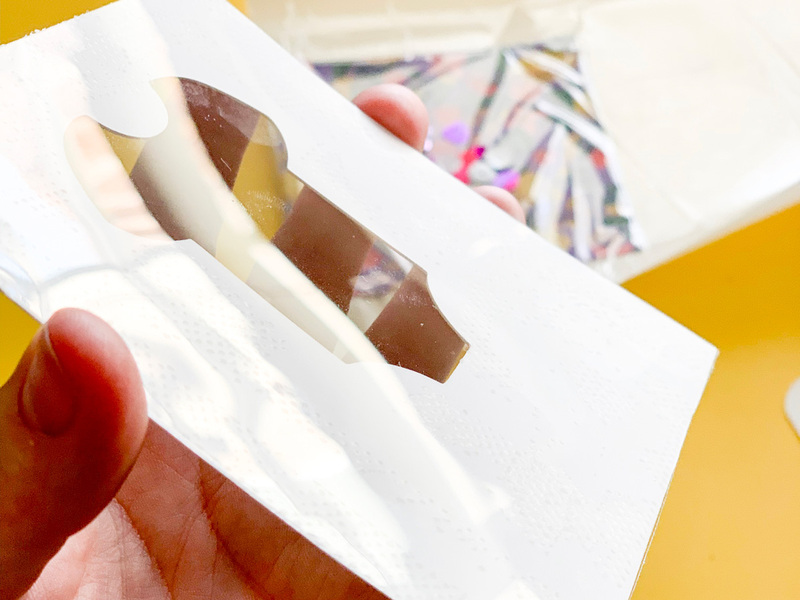 Use the Cricut Knife Blade to cut your acetate into the small square to go right behind the Hello Baby layer. 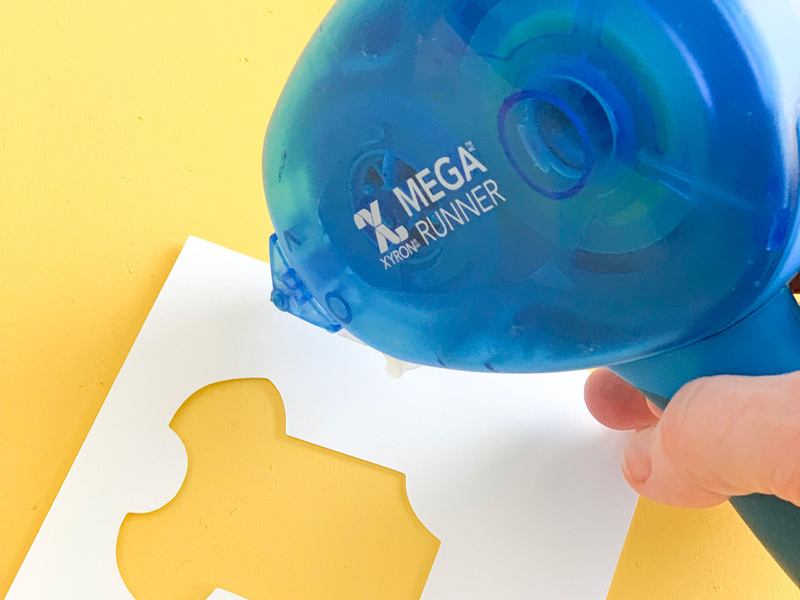 Adhere your acetate using your Xyron Mega Runner. Next, place the foam tape all around the edges of your small square and then go around the onesie to make a barrier. You’ll fill that barrier with your sequins and then lay your folded card on top so that you have it secured to each other. That’s it! 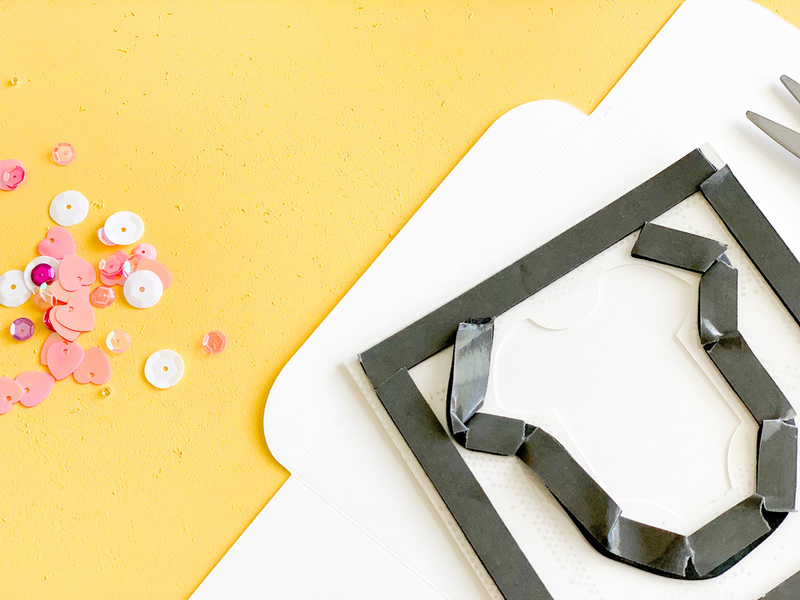 It’s so easy to make your own homemade baby shower card and it’s more fun when they’re for loved ones.